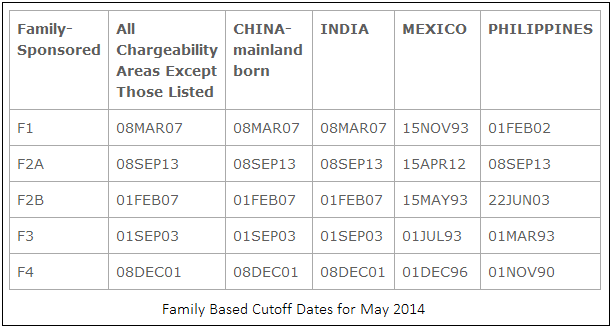 The Department of State has released the May update to the Visa Bulletin. Employment-based categories moved very little compared with recent months. 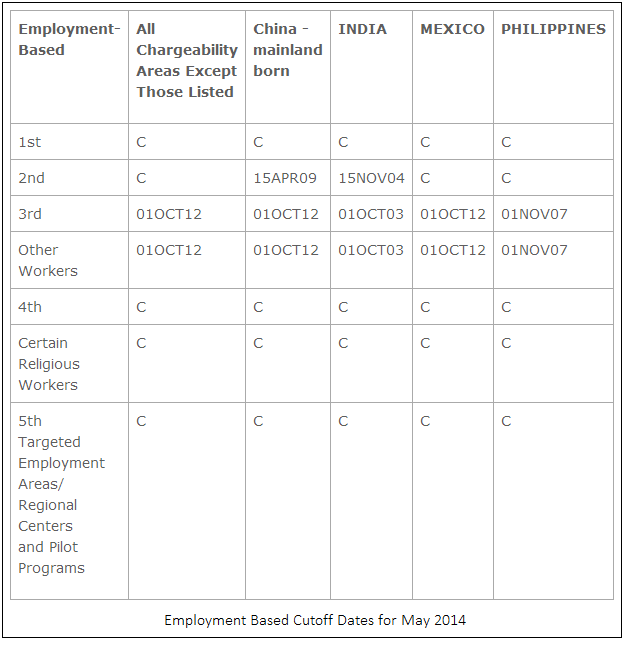 On the positive side, F-2B cutoff dates advanced over three months for many regions, and the Philippines saw significant advancement in both Family-based and employment-based categories. See the April cutoff dates here. The Department of State provided no forward guidance regarding future cutoff date movement.